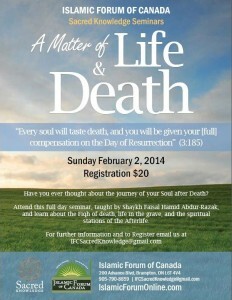 Have you ever thought about the journey of your Soul after Death? 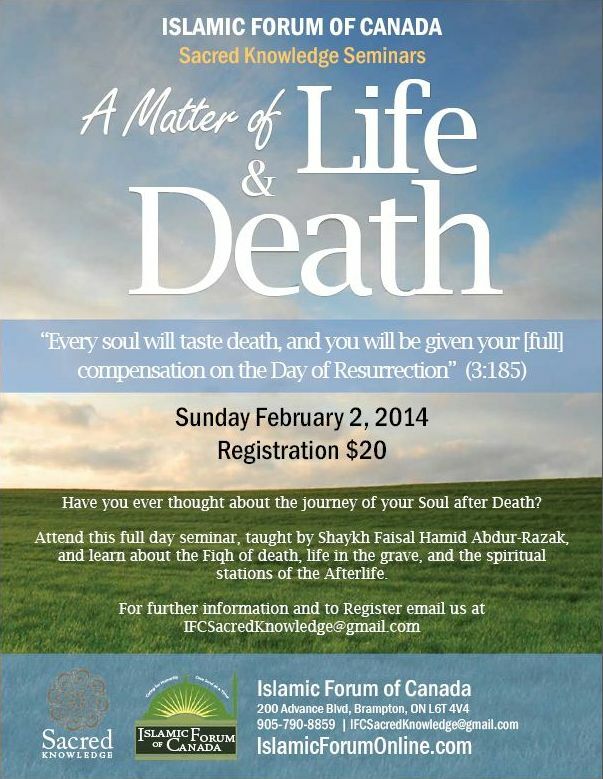 Attend this full day seminar, taught by Shaykh Faisal Hamid Abdur-Razak, and learn about the Fiqh of death, life in the Grave, and the spiritual stations of the Afterlife. The cost of the ticket is $20 which includes seminar materials and lunch.